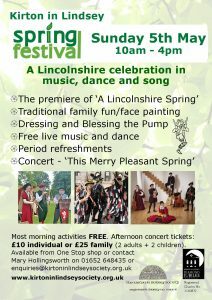 The Town Hall, along with the Kirton in Lindsey Society, have developed a whole day of activity and family fun. 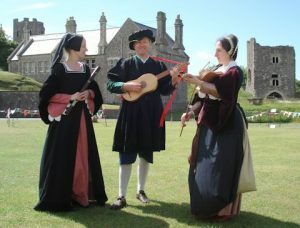 There will be the chance to hear Lincolnshire traditional songs on the theme of Spring from Folk ‘Round ‘Ere; have refreshments to the sound of Medieval & Renaissance music; learn Tudor dancing with de Mowbray’s Musicke, hear instruments of the time and find out about life for a Tudor rural court musician. There will be Morris dancing outside, musician’s sessions and singarounds in the pubs and face painting in the Heritage Room. 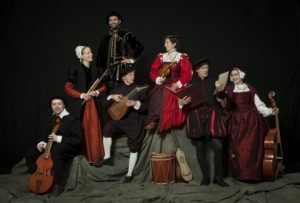 Most of the morning activities will have free access and the afternoon concert tickets are £10 individual and £25 for a family ticket of 2 adults + 2 children (advised age 8 years and over). Tickets are available from the One Stop shop (soon to be Costcutter) in the Market Place or contact Mary Hollingsworth on 01652 648435, enquiries@kirtoninlindseysociety.org.uk or info@kirtoninlindseytownhall.co.uk. Unless sold out, tickets will also be available on the day. Error: Error validating access token: Session has expired on Saturday, 23-Mar-19 02:32:21 PDT. The current time is Thursday, 25-Apr-19 19:27:36 PDT.